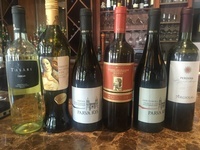 The Bottle, an upscale eatery that features Southern Cuisine with a French influence, specializes in steaks, chops and a variety of the freshest fish available. The changing seasonal menu includes raw oysters, jumbo lump Maryland style crab cakes, veal chops, lamb racks and Hereford Choice Beef. 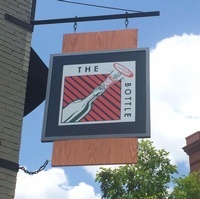 The Bottle - a name referencing the near mythic, long-shuttered Green Bottle Grill - invites guests an experience in southern hospitality that will not soon be forgotten.